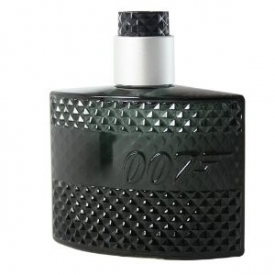 Masculinity and sophistication are at the very heart of the new James Bond fragrance for men. The new James Bond fragrance for men embodies the unique duality of Bond’s character: a smooth irresistible combination of masculinity and sophistication. Only an Aromatic Fougere - the most virile, vibrant masculine of all perfume families – could bring to life Bond’s unique blend of masculinity and sophistication. At the time when the first Bond films of the 1960s revealed the ultimate masculine icon, the world of male fragrance witnessed the dawn of the unofficial hero scent signature for men – the Aromatic Fougere family of perfumes. This fragrance type epitomised the virile, vibrant masculinity of the times and continued to prosper into the 21st century. Just as Bond has evolved over the decades, so has the Fougere family; to represent the perfect combination of raw masculinity and irresistible sophistication. 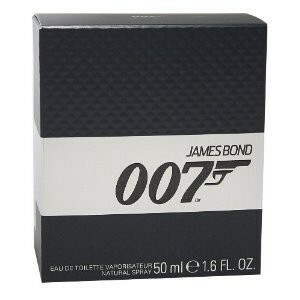 In the new James Bond fragrance, the unapologetically masculine Fougere backbone contains lavender, moss and coumarin. These notes are modernised by the very sophisticated combination of fresh apple, intensely aromatic cardamom and full bodied sandalwood. Also available as 30ml, 75ml and Gold 50ml Limited Edition EDT. Base Notes: Haitian Vetyver, Patchouli, Cedarwood, Sandalwood. I'm not sure what I expected but I was surprised by how sweet this was and how nice. The bottle is terrible but if you can ignore that this is actually a very pleasant alternative. The projection is okay but nothing special and the longevity is poor. Better than expected, but the tacky bottle lets it down. A pleasant fragrance - a warm, woody lavender. Fairly inexpensive for an EDT. Long-lasting. Tacky packaging. Not particularly unique. Certainly not action-packed. An affordable fragrance that's suitable for everyday use.